The Science Impact Collaborative is committed to finding new ways of enabling the widest possible range of learners to avail themselves of the materials we have developed. So far, we have developed four new tools. The first is a video case study of real estate development in Asia. This award-winning in-depth on-line case study can be easily modified so that instructors can pick and choose different pathways through the materials. Students can move quickly through the case — in 45 minutes or so -- focusing only on visual summaries of key learning points. Or, they can review and master research findings related to one of the most ambitious efforts to build a gated community in an environmentally sensitive area between Malaysia and Singapore. This might take four or five hours. 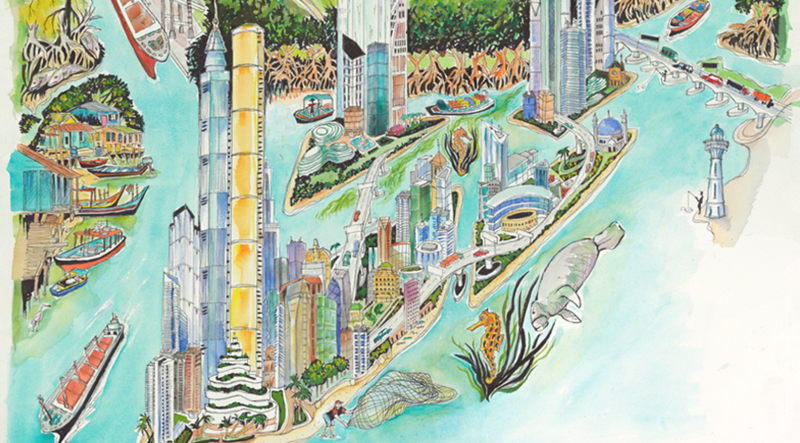 The second was developed as a MOOC by the MIT Sam Tak Lee Center for Real Estate Innovation. It is now available online for a very modest fee from EDx (and from 2017 in China — in Chinese). It teaches the meaning and techniques of socially responsible real estate development. 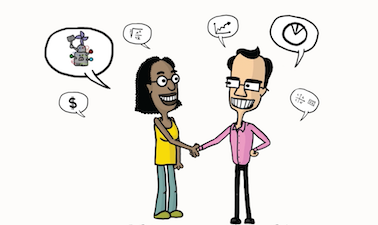 The third, is an MITx online six week module that teaches Entrepreneurial Negotiation. This highly interactive course is given twice (in October and February) each year. Registration for groups of 10 or more is encouraged. For groups, the price is $99 per person. For individual pre-registrants the price is $199. Those who complete the course (which involves live weekly face-to-face negotiations) receive a professional certificate. The fourth is another version of Entrepreneurial Negotiation based on a book by that title by Professor Lawrence Susskind and Mr. Samuel Dinnar. The book is available in hardback from Palgrave/Macmillan and as an eBook as well. More information is available at here. This site offers additional resources to enhance the Entrepreneurial Negotations EdX course and Entreprenuerial Negotiations: Understanding and Managing the Relationships that Determine Your Entrepreneurial Success. 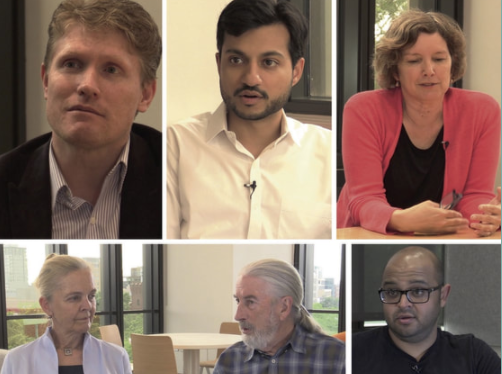 L. Susskind, Kuwabara, T., Williams, M., Mukahhal, A., Allen, N., Vale, M., Barnard, S., Smith, G., Rahman, S., Azali, S., Razak, J., Soyk, J., Sherman, D., and Mazurek, P., “Forest City: A Case Study of a Real Estate Megaproject in Asia”. Massachusetts Institute of Technology. 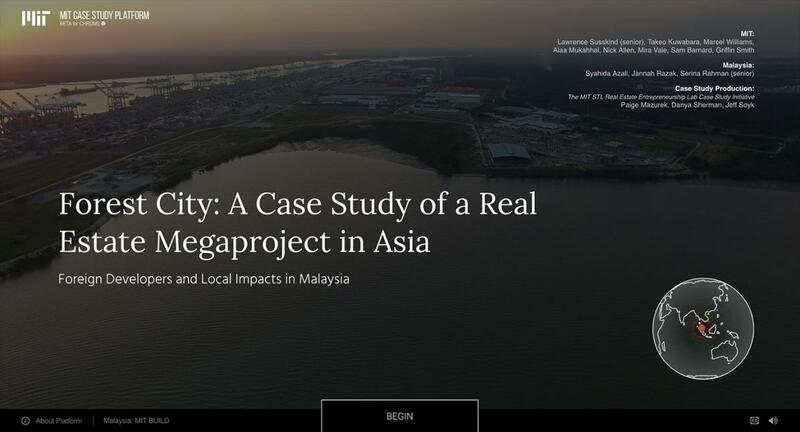 This interactive, multimedia case tells the ongoing story of an effort by a high-profile Chinese real estate developer (Country Garden) to build the largest gated community (Forest City) in Asia for as many as 700,000 residents at an estimated cost of $100 billion, on reclaimed land in the Strait of Johor, between Malaysia and Singapore. The controversy that arose in 2014 over the social and environmental impacts of the project caused the Malaysian courts to stop the project temporarily, even though state and local permits had been granted. This led to a somewhat scaled-down version of the project, as well as a requirement that the developer pay compensation to fishermen and villagers who were already adversely affected. L. Susskind, Allen, N., Barnard, S., Kuwabara, T., Mukahhal, A., Smith, G., Williams, M., Vale, M., Vidal, V. Alvarado, and Middleton, S., “Socially-Responsible Real Estate Development”. MITx.